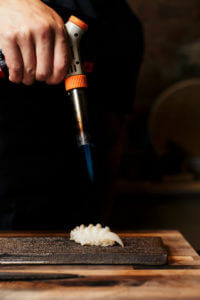 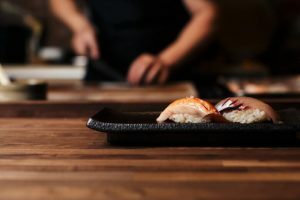 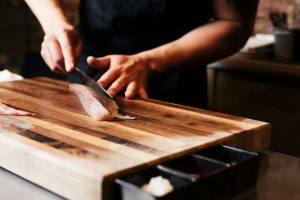 By “endangered species,” Provenzano means sushi joint staples such as toro, unagi, long-line caught maguro, wild abalone and anything else “inordinately deleterious to the health of the oceans,” as environmentalist Casson Trenor writes in Sustainable Sushi: A Guide to Saving the Oceans One Bite at a Time. 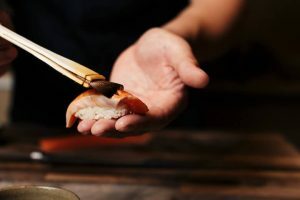 That such animals are being eaten into extinction is not news: Trenor’s touchstone book came out in 2008, and fish and shellfish redlists such as Monterey Bay Aquarium’s Seafood Watch have likewise been around for years. 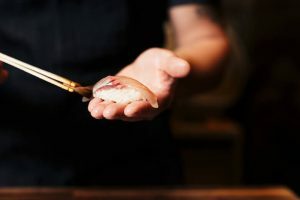 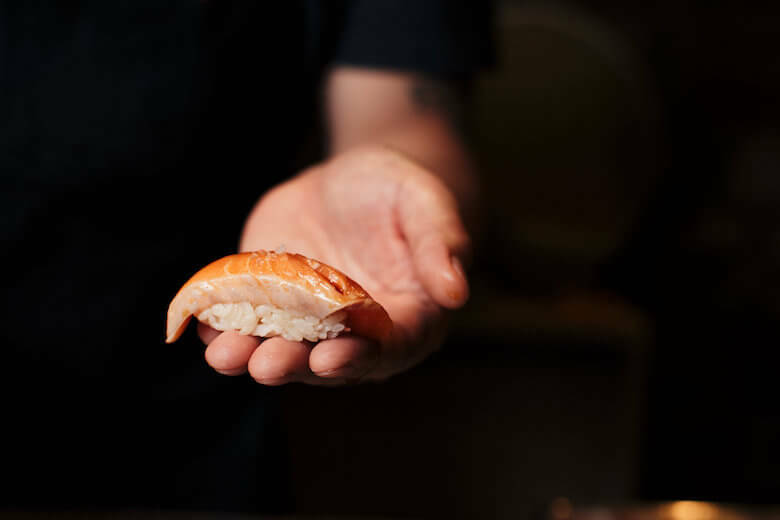 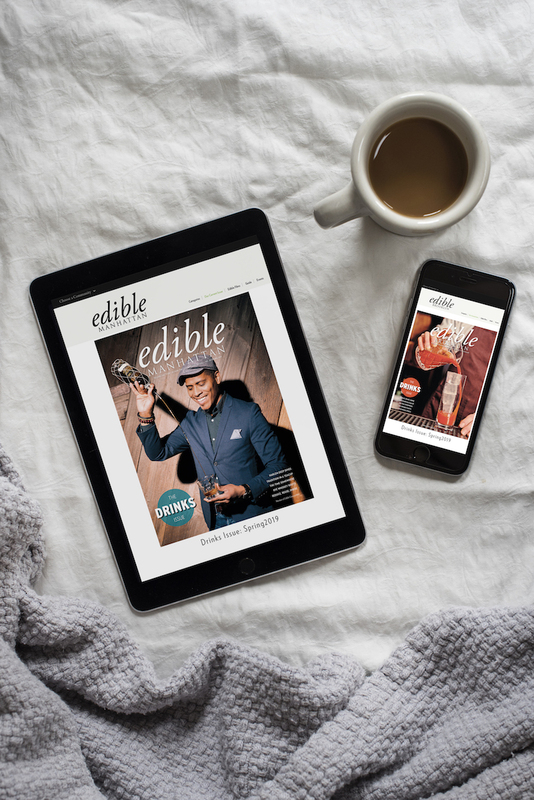 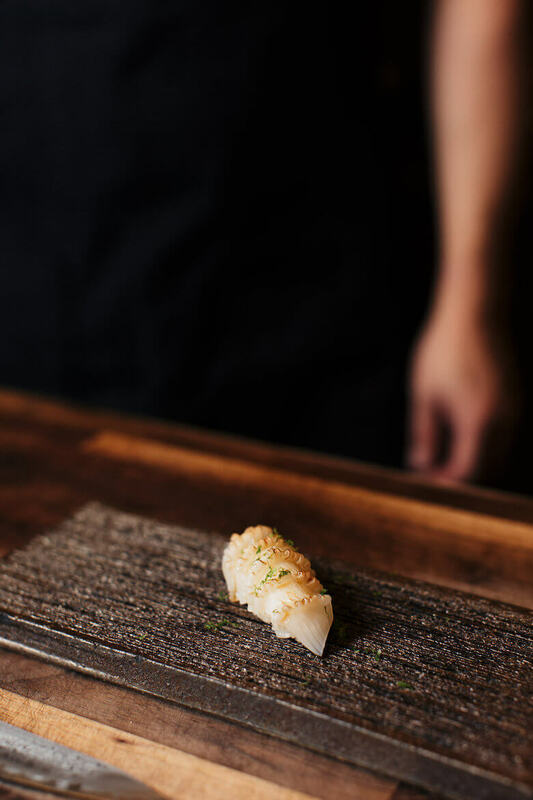 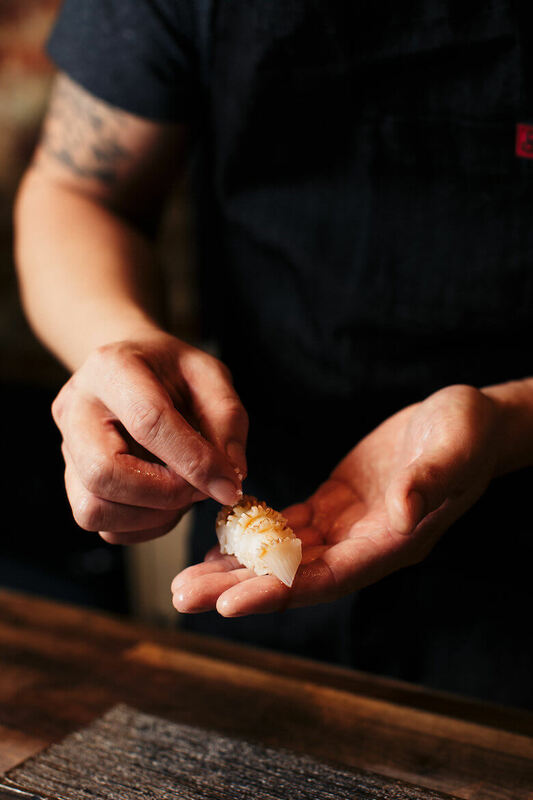 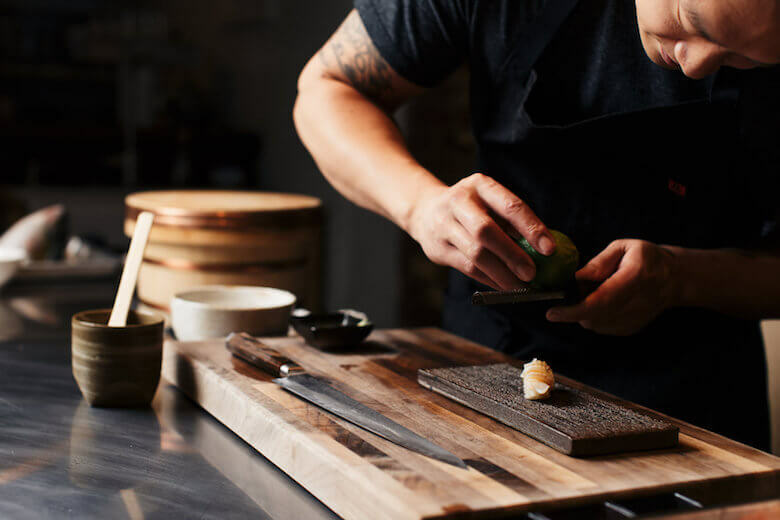 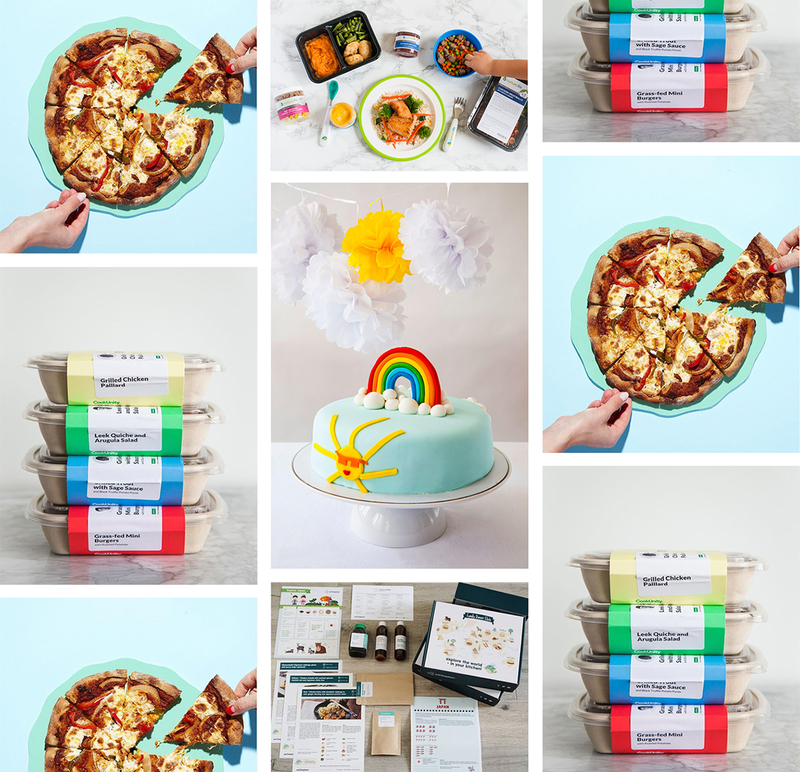 Yet even as sustainable sushi has begun catching on in places like Seattle, San Francisco and Portland, but except for Williamsburg’s Okonomi and Osakana, New York City has lagged behind. 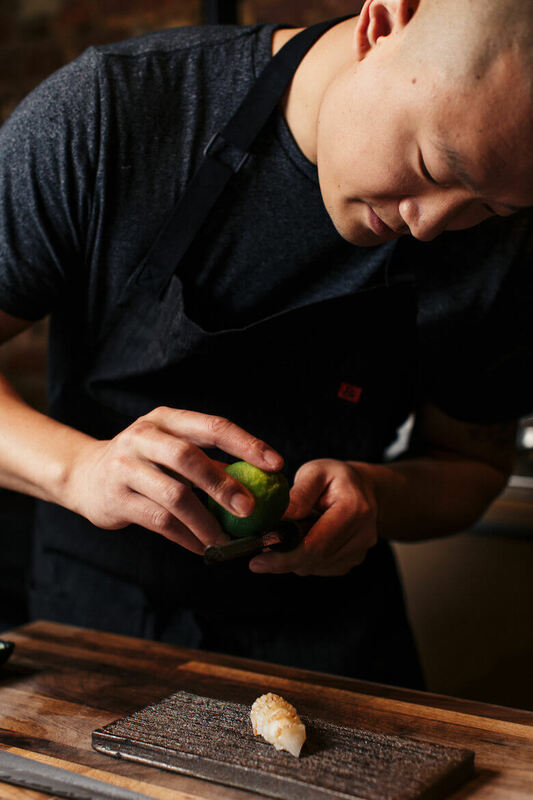 The menu itself is “at the mercy of the ocean,” as chef Mike Han puts it, and as such it changes daily. 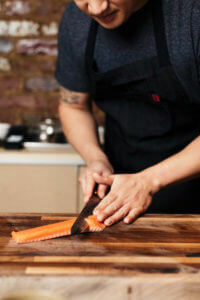 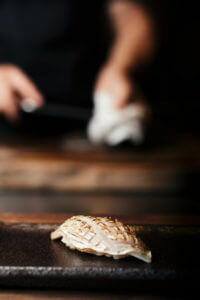 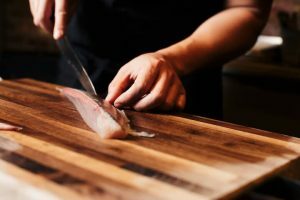 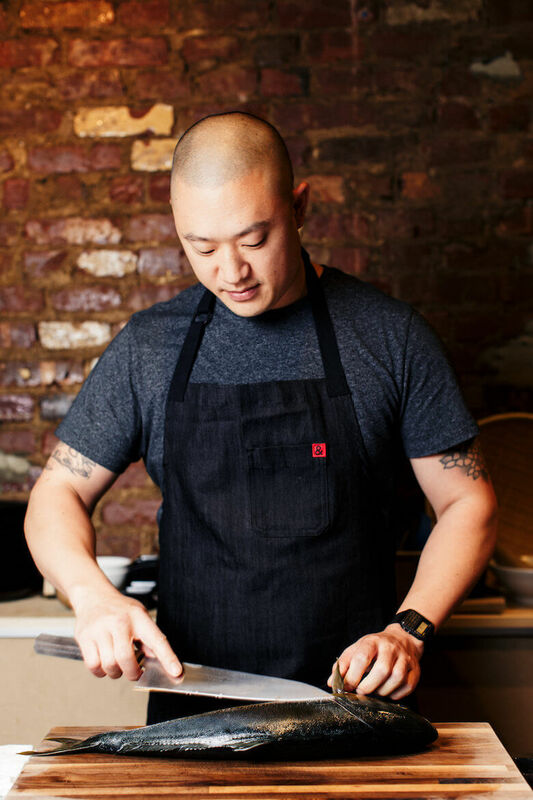 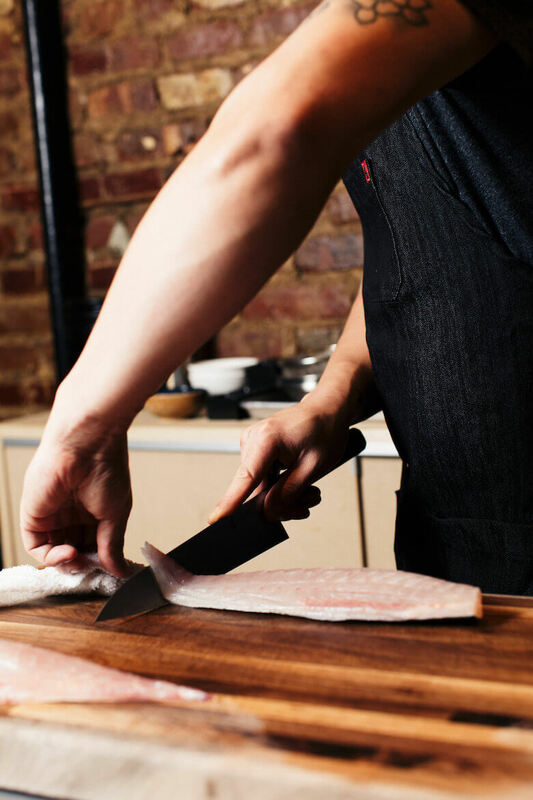 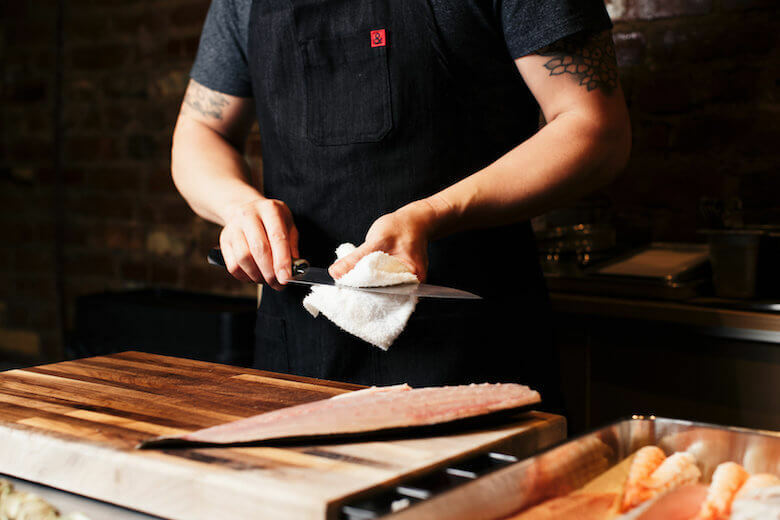 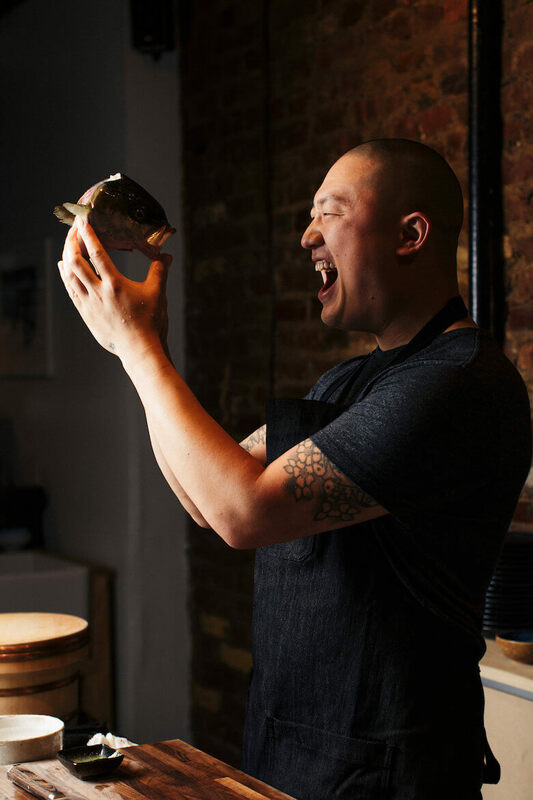 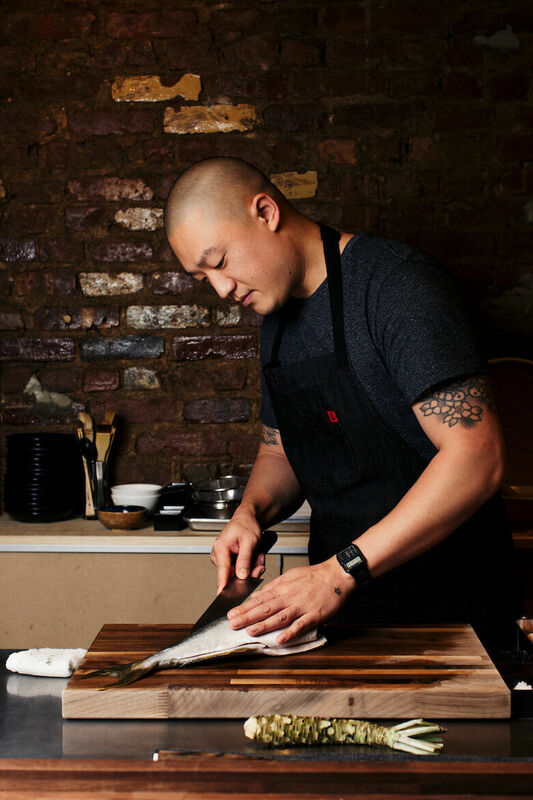 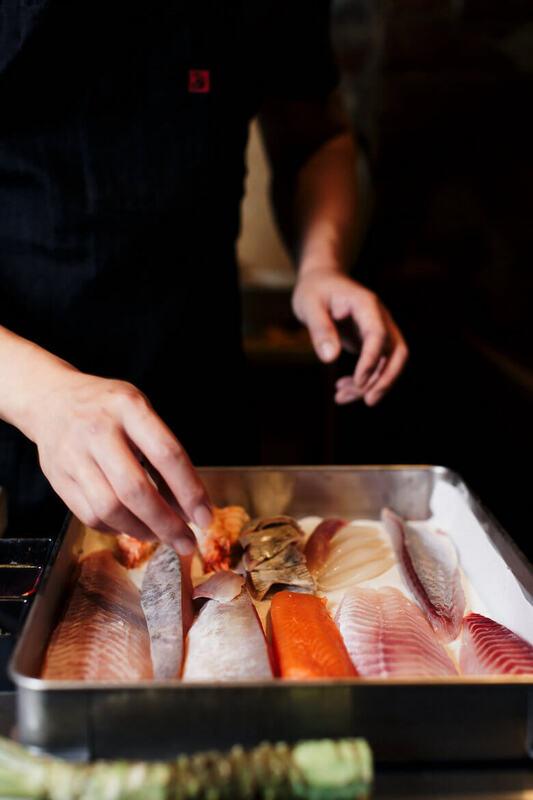 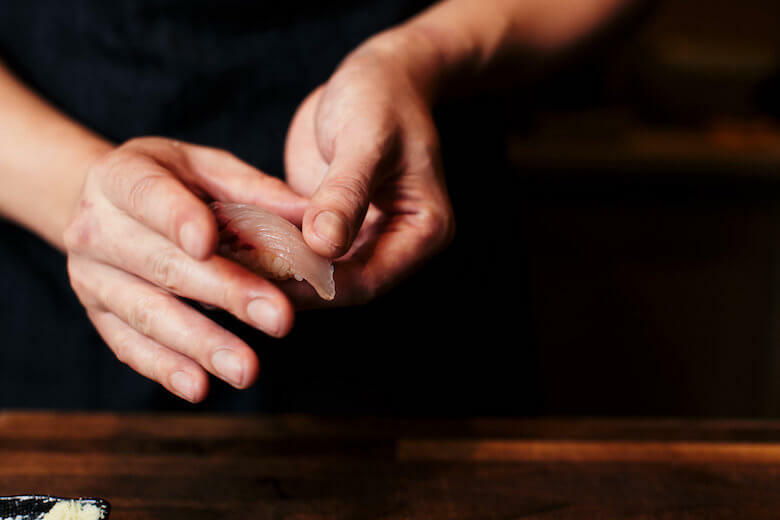 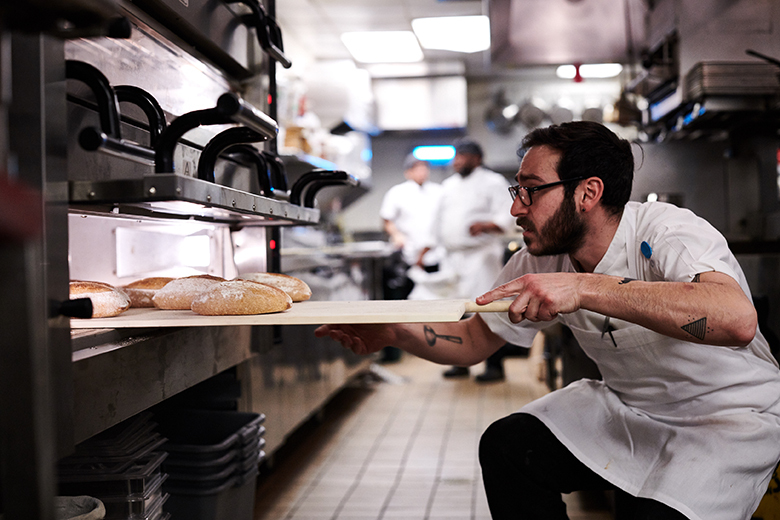 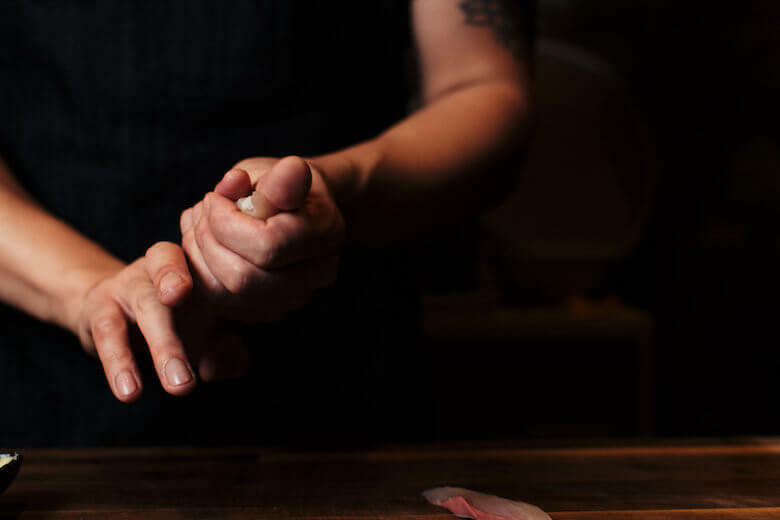 Mayanoki meticulously sources its fish from Seafood Watch-certified businesses such as Greenpoint Fish & Lobster Co. and Sea to Table, as well as from smaller trusted purveyors, such as Blue Moon, a husband-wife team from Long Island. 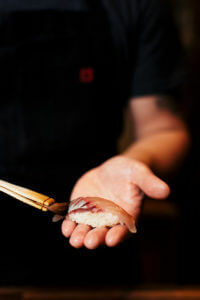 None of Mayanoki’s fish are flown in from Japan, sparing the planet greenhouse gas emissions. 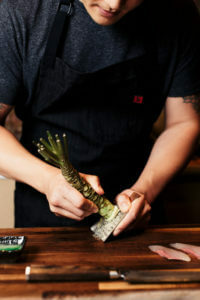 Instead, the 15-course tasting menu emphasizes seasonal, domestic varieties, especially ones from the East Coast. 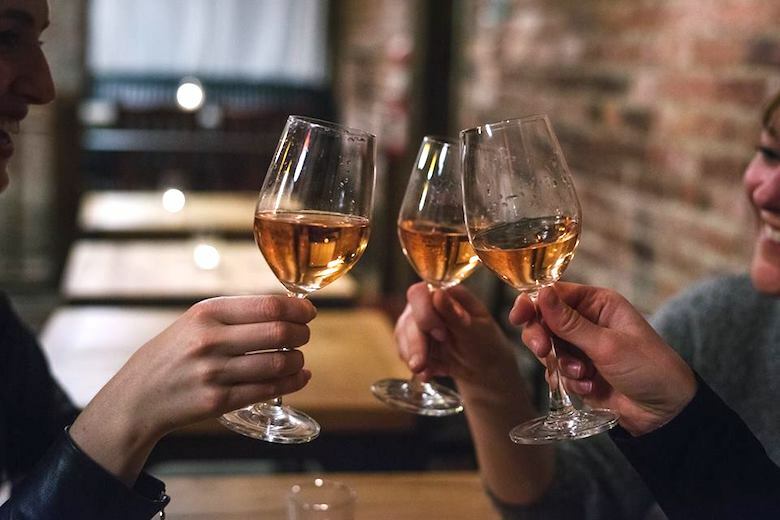 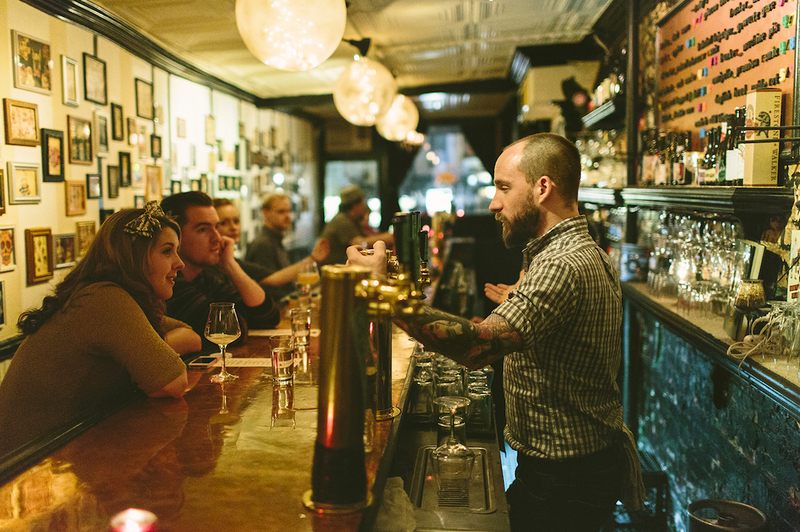 All of the restaurant’s wines and ciders also originate from New York State—surprisingly, a rarity in the city. 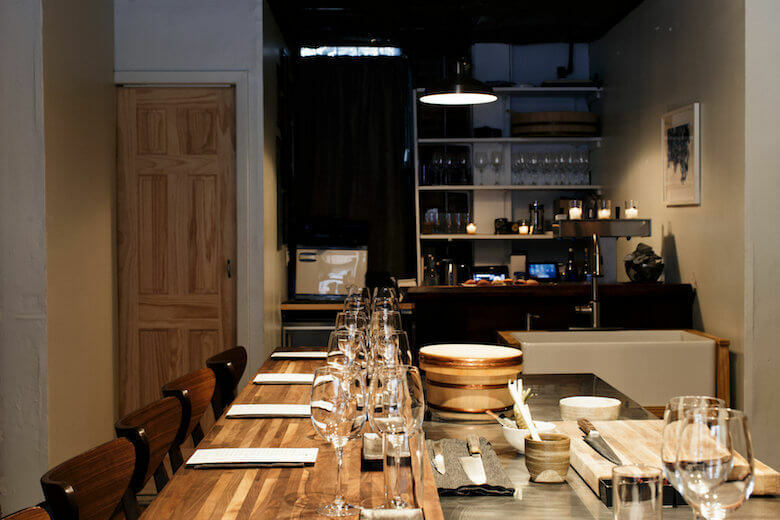 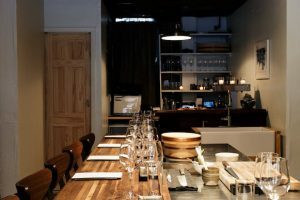 Located in a nook of a space, Mayanoki seats just eight at a time, lending it the feeling of an intimate, well-kept secret. 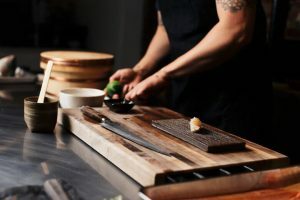 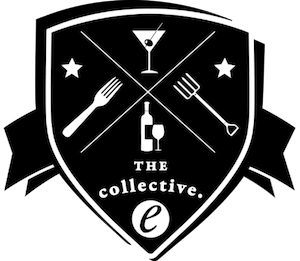 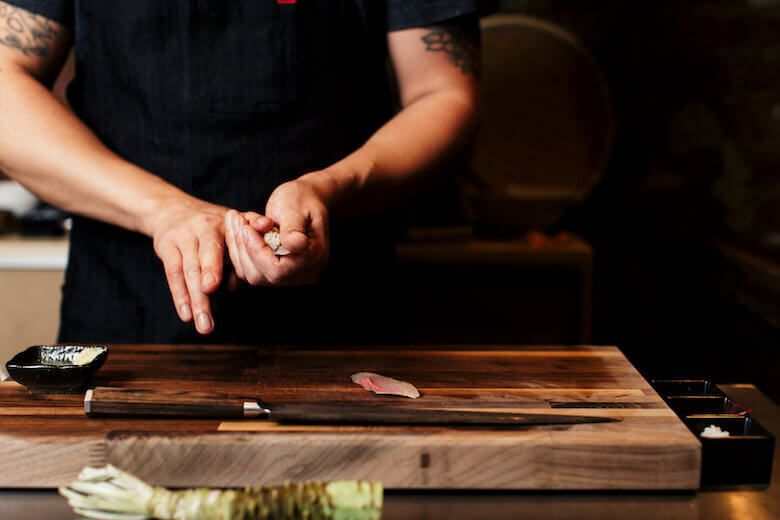 But rather than the reverential, even stuffy experience courted by some Manhattan and Tokyo sushi dens, casual conversation and openness between guests and staff are encouraged. A 90s hip-hop soundtrack keeps the mood light, and custom-made abstract works by the Bushwick-based artist Sonomi Kobayashi complement the establishment’s mix of tradition meets cutting-edge.